This is a guest post from Lindsay Gordon, prototyping genious from South East Water. Lindsay attended Olin College in Massachusetts, got a degree in engineering and most importantly, got taught by IDEO. She now works here at South East Water’s Recycled Water program and helps me be inspired through her ideas about how to Prototype. If you want to get in touch with Lindsay, she will be answering comments on this post or email: lindsaygor@gmail.com. At its simplest, a prototype is a representative model used to test a design concept. Prototypes can be built out of paper and tape or machined using advanced materials and techniques. Regardless of the level of detail, prototyping is a very valuable exercise during the design phase of any project. This quick overview provides an explanation of why prototyping is important, how to do it and why engaging users is vital. Rough prototyping involves using any materials available to make a quick, simple and cheap 3-D model of your product or service. The scale will depend on what product/service you’re modelling: actual size may make sense for some items (telephone) but others may require larger (medical devices) or smaller (buildings) scale. Use any materials you can find: straws, cardboard, fabric, wood, foam core, hot glue, rubber bands, post it notes, polystyrene, toothpicks etc. It also may be useful to take apart existing products to find materials. Modelling a service is a bit trickier than modelling a product. A service model needs to focus on the interaction between the user and the service and highlight all the key players involved in the duration of the service. o Find an initial group of a few key customers that are willing to help with the prototyping, will brainstorm possible service scenarios, look over storyboards, interfaces, etc. Designing WITH the user and not FOR the user takes the guesswork out of whether your final product will be useful. Products and services should be designed to fit in with a user’s current behaviours and values rather than force them to change to accommodate your new design. Working closely with users provides opportunities for feedback at each step of the design process. Spend time with people in your intended user group and try to witness them in their natural habitat; you can learn a lot from observing specific activities and putting yourself in your user’s shoes. Another way to test your model is to engage individuals who are completely unfamiliar with the product or service and ask them to evaluate their experience with your prototype. This can provide valuable feedback about whether your design is intuitive and easy to use. Jan Chipchase runs an amazing blog where he researches people’s habits with mobile phones accross cutlures for this purpose. If you’ve had success with rough prototyping and are looking for a more sophisticated prototyping method you may want to check out 3-D modelling software (such as Google’s SketchUp which is free, has great video tutorials and is quite intuitive). There may also be opportunities to create a working prototype or more advanced models using rapid prototyping companies. Leave me a comment or flick me an email if you have any other questions about prototyping! Connectivity to solve poverty: How would you connect? As I sit at home, exhausted after a huge last week and begin (finally) preparing my post for Blog Action Day, I have been contemplating a comment sent to me by my dear friend, Melina Chan recently. Melina is current located in Cambodia, working on an AYAD program around micro-finance lending and community development to alleviate poverty. She is an amazing person, and a true ‘squiggly thinker’ – she’s absolutely amazing at creating organic, win-win, high value relationships with good people to solve complex problems, and someone I have learned a lot from in the time I have known her. 1) Limited/sensitive connectivity means the internet can drop out or be unavailable at anytime. Thus, any service used must either be a) mobile web enabled or b) remain intact and accessible even if some people with the AYAD network can’t access it for a time. 2) Remain time-independent. The AYADs often travel in-country, and would often be away from a computer for days/weeks/months on end. Thus, organising time for the whole network to meet will almost certainly be impossible. 3) Whilst it will be tough for the whole network to group together at once, it should be easier to form small groups of conversations/sharing. Even just 2 person conversations are hugely valuable. Obviously, this will be the toughest problem to solve. 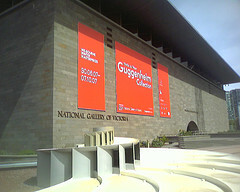 Tim Costello, in one of our interviews with him for the Learn About Poverty blog, commented that a reportedly better solution to poverty was to buy mobile phones for everyone in need due to the devices ability to connect people for trade, business and political opportunities. The other option, if it eventuates that twitter doesn’t work, is actually a tool I posted about on the digital-flexi-tools post, Campfire. Campfire is a relatively low bandwidth program, which opens up a chat and allows you to swap files (hard under the conditions you’re in) and chat with people live. The real beauty of campfire, is that those conversations are recorded, so the history of your conversation remains there for other AYADs to view, creating instant, global access to tacit knowledge. I subject I know you (Mel) are very keen on! You can create a sink of knowledge, but constantly having conversations on your campfire site, and encouraging other AYADs to do the same. Unlike normal IM programs, Campfire can be organised by emailing a link to people and perhaps organising a time to meet there. Just like a true campfire, it tends to be used as a destination to meet. Once around the campfire, you can chat and discuss issues you need to, and share links etc etc on a low-bandwidth connection. If you had internet connection, I’m certain this would work (let us know how you go). This is a tougher one. Google docs is a pretty awesome place to share documents without needing to send huge files over email etc. I would suggest that you move any documents you have, which may be valuable to other AYADs, to a google docs account. This way, you can include AYADs on any edits that take place, as well as allow people to copy-paste format independent content into whatever business/program/proposal template they may happen to be writing. They can then add their own content back, and share it with you when you are ready. This is a key feature. Just like campfire, the content you put into the google docs account stays there, so it doesn’t require large active members, online live, to become a useful service. All you would need is the internet to be working (granted, not a guarantee) and you can access templates and content anytime, without needing to connect with others then. Again, this doesn’t need a huge number of people active within the community to be immensely valuable, and once you have two or three people adding content, the resource suddenly becomes much more powerful and more useful for others to see and add to. Getting every member of the local AYAD network on board at the conception stage of these tools will be really tough. You’ll be better off Mel taking some advice from Ross Hill and just start small, with a simple idea of what you want to achieve. That’s some of my thoughts. Please, I’m want to hear your thoughts out there about how Melina could keep communication up between AYADs to improve their knowledge and sharing abilities. Hopefully, we can create a great ‘knowledge sink’ ourselves which Melina can use to make things happen and better deal with poverty. I write this from a laundromat in St Kilda, extremely fatigued and keen to hit the hay after the enormous weekend that was #SUCM (or, Start Up Camp Melbourne). The event was based around a simple idea I love – get together with a great group of people, many of whom were strangers or simply twitter associates, and start up a company in a weekend. Innovation is something that everyone has. It’s not a special function, and it’s not a gift. The act of creating something new, that provides a new and better solution for an old problem is one that is entirely dependant on the cool people around you to help ideate and the amount of time you have to spend on it. Ideation doesn’t have to be long. We can get caught up with slick processes and drawn out market research, but in the end there is nothing like a time limit to provoke new creations and group cohesion around a product. At SUCM, we had about 3 hours to form a new company, find a venture idea we liked, register the domain (etc) and then begin planning our attack. If you are stuck with a problem or in an ‘opportunity drought’ try creating a spare half hour, move off for a brainstorm and force yourself to come up with something in the alloted time. You’ll be surprised by the results. 2) Can you exit after 2 days? This one is a bee in my bonnet. Can you ideate a new venture, do the market research and lay the strategy down, write the business plan, build a working (!) prototype and then…down tools and sell your work to a strategic buyer in the industry you’re new creation was set to play in? We created the new web-app-service, www.abitofpluck.com. The amazing guys working on the prototype (such as Michael Specht, ‘George’ Provoost, Jason Brownlee, Pieter and John Sherwood) whipped up a working service app that would have (I think) some interest to Twitter. Yes, the business has no traffic, and no brand – but the very fact they experimented with the technology, created a phase 1 working prototype and had about 20 first time users within the first few hours proves the concept may have legs. Would it be possible to sell our progress so far to Twitter for 10k+? I think it’s a key area for corporate innovation units to focus on in the coming years – both how to find and buy cool immature prototypes from gun innovators OR sell their own internal innovations to existing suitors within the corporate world to leverage new revenue streams and business relationships. Why not? We selected www.abitofpluck.com based largely on the fact that we wanted the challenge of building the business case and prototype for it over the next 48-60 hours. SUCM is largely an experience best used for learning as opposed to revenue creation, so the idea of working on a dull idea which may generate cash wasn’t too appealing to the group. We would have created a much more valuable (potentially trad-able value…see point 2) business had we started by picking the idea we could generate the most number of revenue streams from. Not most revenue…but the most streams. In the end, we struggled to find more than 3 real revenue streams for www.abitofpluck.com – in hindsight, we should have brainstormed the maximum number of ways we could generate cash (fast) from our ideas at stage one, and picked the business which had the highest number of associated ways to create revenue. When pitching to the angel investor, Jordan Green, I realised that many of us hadn’t prepared to reduce the risk to the investor, whilst raising their comfort. Whilst this one is pretty ‘pitch’ focused, internal innovation still speaks to the need to be transparent with weaknesses and market threats that may upset the apple cart when your new venture launches. – Highlight your Weaknesses and Threats in your SWOT more than your Strengths and Opportunities. Once your weak points are highlighted, link how you will mitigate them with the inherent strengths and industry opportunities of your venture. – Openly discuss your Critical Success Factors, and then continue to explain how you will ensure that your venture achieves each one. Ask ‘what would kill our new venture?’ and then find strengths and strategies to meet these success factors. 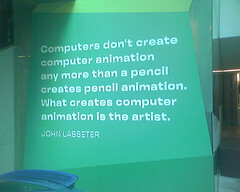 This is a shout to the talented programers named above who I worked with on www.bitofpluck.com. These guys were able to create what they did (from my perspective) because they had a clear idea of the story needed to be told to the user. By breaking down the venture into a clear story, the guys we’re able to split up the tasks required for the user, and then develop the parts in conjunction. As such, we we’re the only group to present a working prototype at events end, because we only created parts of the business required to get us to the simplest form of opperation. This is an existing methodology, and not particularly new in the tech world. But, where innovation is concerned, try creating each revenue stream as an addition to the whole user story and then split the business planning process up to ensure that each revenue stream is scoped and contributing towards the creation of a sustainable competitive advantage. Try it out and see. Myself and Duncan Riley found this approach worked well during the event. So that’s it. All up, the event was pretty amazing and the group of people assembled was top notch. A huge shout out to Bart Jellema for seeding the idea for the group (from Sydney) and leading the charge and to Maxim Shklyar for being the ideal host for the opportunity hungry mob that descended on his studio for the weekend. Top marks also to the aforementioned Michael Specht for playing a large hand in organising the event, and making sure the right people knew of it’s existence. Here’s to the next one!!! I was given this fantastic article by dad today – It’s a Harvard Business Review piece written by Paul Saffo about how to make effective forecasts. The article reads fantastically well (you know how much I appreciate good writing) and is easy to remember and learn from due to the nature of Saffo’s explanations. Very made to stick. The article is broken down into 6 very relevant ‘Rules’ for effective forecasting. It’s golden stuff for anyone dealing in the opportunity evaluation space and is a great tool for any innovator. But, the point I’d like to highlight here is his first rule – Define a Cone of Uncertainty. Saffo talks about how defining his ‘Cone of Uncertainty’ prior to forecasting something is the most crucial of all tools he uses. The reason being, that by defining what factors are most at play in a given situation he can better judge the outcome of events yet to take place. It’s very similar to a PEST analysis, but much more rooted in historic indicators backing up those factors highlighted as important currently. This has a lot of similarities to the mindfulness techniques that I am studying now. Whilst I’m not Buddhist, the idea of being much more ‘in the moment’ is becoming a very valuable tool for me in remaining sane in this fast paced world. It helps focus on what is important at any one time, rather than let the internal commentary of my mind (and often others!) get in the way. The idea of the cone of silence is similar, in that it focuses the forecasters (or entrepreneurs!) thinking on the parameters of what is possible, rather than what is improbable. It takes these events into account, measures them, and then either places them within the cone or at its edge, allowing the forecaster freedom to focus their thinking. Those events firmly within the cone, or towards its centre, are much more likely to occur and thus much more likely to impact any resulting strategy. 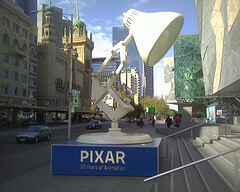 Today, I finally got the chance to visit the Guggenhiem and Pixar, 20 Years of Animation, exhibits at NGV and Fed Square. The Guggenhiem was fantastic, and well worth a visit if you get the chance before it ships of-shore again on the 7th of October…but the real gold was to be found at the Pixar show. 3) It was evident from the numerous quotes and storys told within the exhibit that the focus within Pixar is very much on creating emotionally powerful stories. The fact that they create these with high-tech computer graphics is neither here nor there…as is quickly evident from the freehand artwork on display. Overall, I loved the Storyboard process most, and am going to try this out in more of a business application way very soon…listening to the Pixar guys pitch each scene so passionatley inspired me!! !